This Winter-Spring season Performing Arts clients will be opening a huge variety of shows, please click through each production name to find out more, or choose the clients name to view their page. On January 16th The Malady of Death opens at the Théâtre des Bouffes du Nord, designed by Alex Eales. Later in the season Alex designs Sleeping Men by Martin Crimp at the Deutsches Schauspielhaus in Hamburg, opening on March 18th. Lighting designer Jon Clark is working on many exciting projects in 2018, starting with a revival of the National Theatre’s 2017 hit Amadeus, based on the life of Mozart, opening January 18th. In February he lights a new production, Frozen, at the Theatre Royal Haymarket, opening February 20th. In March, two of his past productions will be revived internationally. First, Glyndebourne’s Hamlet, which also features fight direction from Nicholas Hall, travels to the Adelaide Festival, opening March 3rd. This is followed by Lucia Di Lammermoor opening at the Greek National Opera on March 14th, originally produced by the Royal Opera House. Finally on March 28th, Jon lights The Inheritance at The Young Vic, a major world premiere in two parts by New York playwright Matthew Lopez. In January Zoe Spurr lights Time Productions inaugural project, Tiny Dynamite at the Old Red Lion Theatre, opening January 12th. 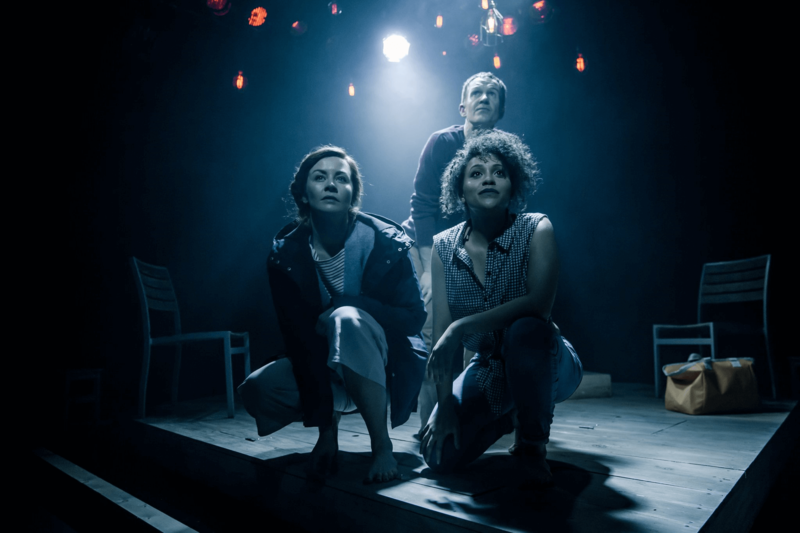 Later in the month she returns to Southwark Playhouse to light Collective Rage: A Play in Five Betties for Damsel Productions, opening January 29th. In February Zoe lights a new production of Elephant at the Birmingham Repertory Theatre before it heads on a community tour of Birmingham theatre, opening on February 20th. In March, she will light a new production Beginners, written and directed by Tim Crouch for the Unicorn Theatre, London, opening March 28th, before working on the Grumpy Old Women UK tour, which opens in April. Opening February 1st The Rake’s Progress transfers from Festival d’Aix-en-Provence to the Dutch National Opera and Ballet, Amsterdam, co-directed by Leah Hausman and Terry Gilliam. In March she also transfers Benvenuto Cellini to the Opéra National de Paris, opening March 20th. On February 22nd Choreographer Kate Flatt returns to the Welsh National Opera to remount Don Giovanni before it spends the spring touring the UK. At The Southwark Playhouse, Peter Small lights Tristian Bernay’s Old Fools, opening March 14th. This season Peter Small also lights the London premiere of A Girl In School Uniform (Walks In To A Bar) at the New Diorama Theatre (January 30th) and the West End Transfer of the hit musical All Or Nothing, opening at The Arts Theatre on February 6th. In Europe there are several more openings in throughout the season, starting with Romeo and Juliet at the Opera and Ballet Theatre of Tbilisi, Georgia on January 30th, lit by John B Read. He will also light A Midsummer Night’s Dream at the Semperoper Dresden, opening March 10th. On February 22nd, Die Fledermaus opens at the Wermland Opera, Sweden, choreographed by Lorena Randi. In Vienna, Colm Seery choreographs a new production of Ariodante, opening March 1st at the Wiener Staatsoper. In Oslo, the Den Norske Opera & Ballett is staging a re-production of Lucia Di Lammermoor, with sets designed by Charles Edwards, costumes by Brigitte Reiffenstuel, opening March 1st. Later in March David McVicar’s Andrea Chenier travels to the Liceu Opera Barcelona, with choreography by Andrew George and designed by Jenny Tiramani, opening March 9th. In Frankfurt, Germany, Hand To God opens at the English Theatre Frankfurt on March 16th, lit by Zia Bergin-Holly.